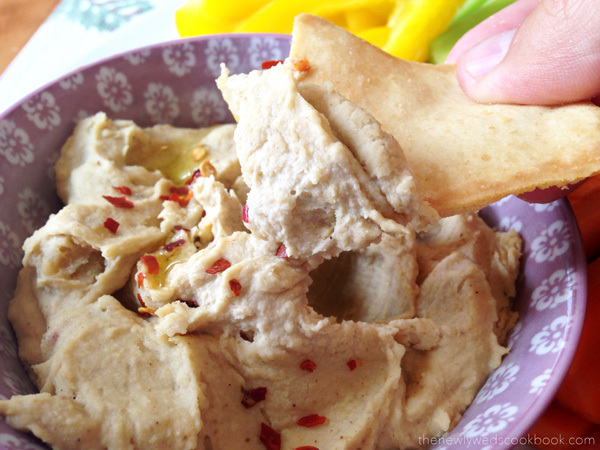 If you’re as a big a fan of hummus as my husband and I are, then this recipe will blow your mind, and your wallet will give you a high-five! 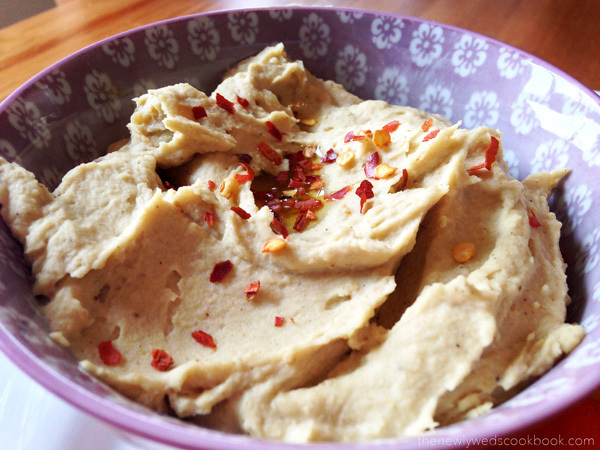 I was doing some research on how to make your own hummus and I realized I only had to buy two ingredients to make it! 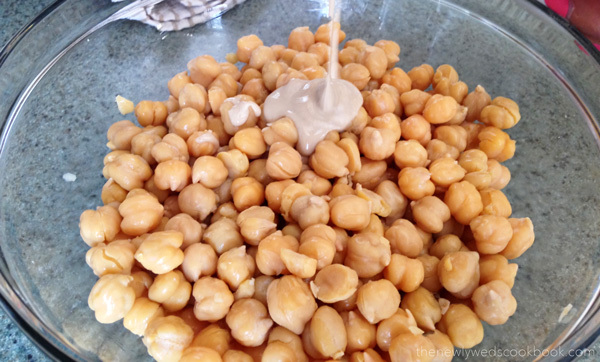 The chick peas are extremely inexpensive, so that didn’t bother me. However, the tahini paste (sesame paste) was slightly frustrating to track down. We went to couple different grocery stores trying to find it. Finally, we ended up at Whole Foods Market, and there it was. I should have figured it’d be there! 🙂 And, now that I have it, it will serve me many uses. 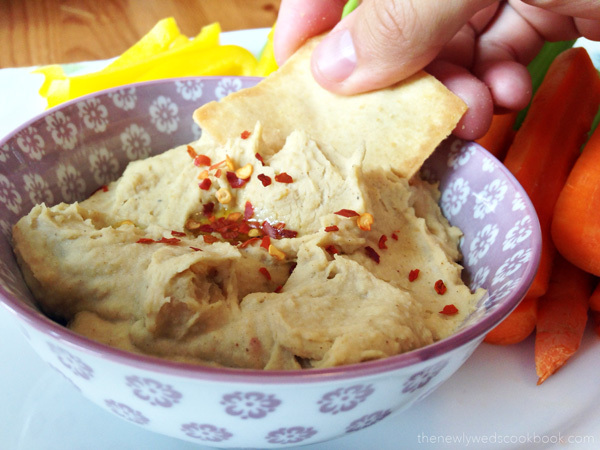 Roasted garlic hummus is so easy to make! The only part that is time consuming is the peeling of the chick peas. But, if you grab a spouse/friend/someone, it will go by much quicker. I am so excited to have this recipe now – it is perfect for when we are having guests over! 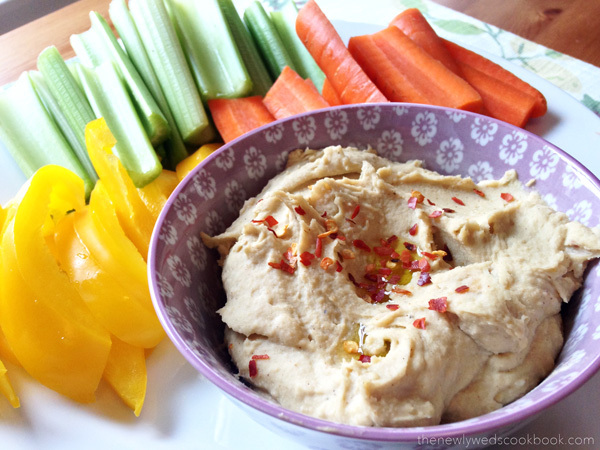 What type of hummus should I make next?! Pine nut, roasted red pepper..?! 1. Pre-heat your oven to 450 degrees – this is for the roasted garlic! 2. 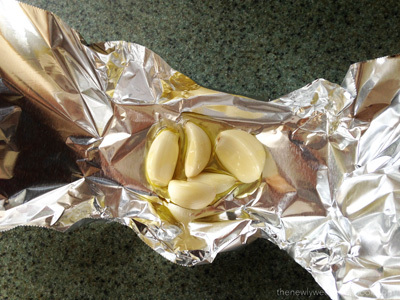 Wrap your peeled garlic cloves in tinfoil and cover them in 1/2 tsp of olive oil, stick in the oven (on a baking sheet) for about 10 minutes. 3. 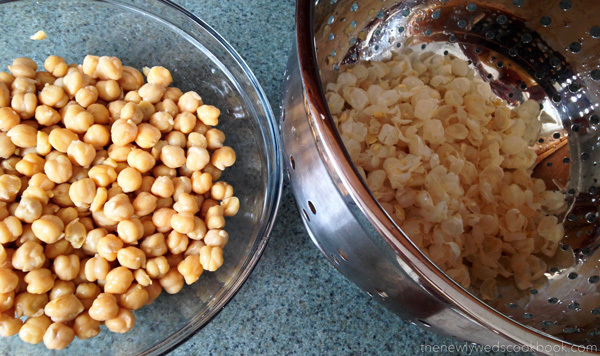 Drain and wash the chick peas. Now comes the time consuming part, so if you have a helpful husband like I do, call him over to help you peel all of the chick peas. You just want to “pop” off the film covering each pea has. 4. Now it is time to blend it all! A food processor would be best, but we don’t have one (yet). We used our NutriBullet to blend all of the ingredients together and that worked pretty well. 5. You may have to pulse it a few times, but continue to blend it until it reaches the consistency of your liking. 6. 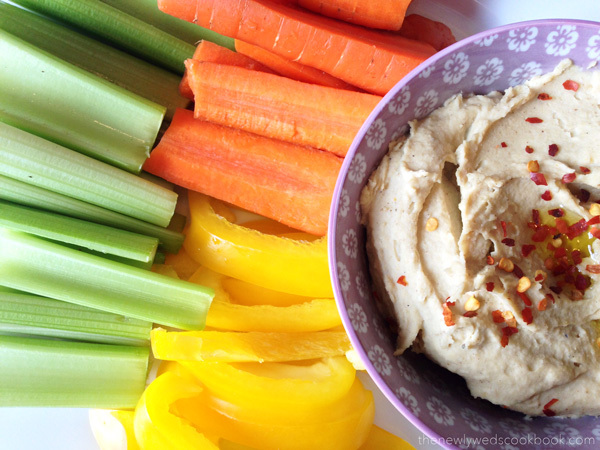 Enjoy with some fresh veggies or pita chips. Stacy’s pita chips are our absolute favorite!! I get my tahini in the international aisle at Wegman’s. 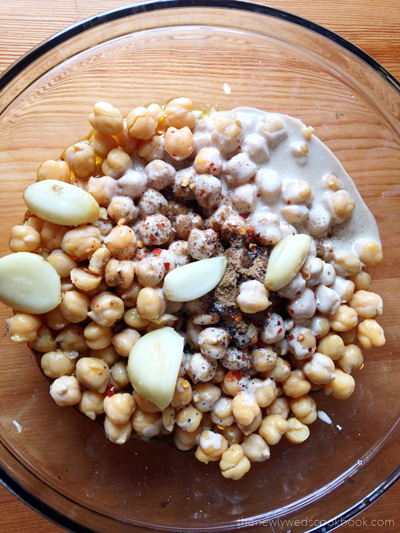 Also, I simmer the chickpeas on the stove instead of peeling and then process it all to help make it smoother. Hi Kat, we normally get everything at Wegman’s but couldn’t seem to find the tahini – maybe it was out that day!? 🙂 I will have to try simmering the chick peas next time. Thank you for the comment!